Doors open at 6:30 pm. Program begins at 7 pm. Book Signing and coffee will follow. Admission is free. Suggested donation of $5 will support Levine Museum and Harvey B. Gantt Center education programs. Complimentary parking available next door in 7th St. Station parking deck. 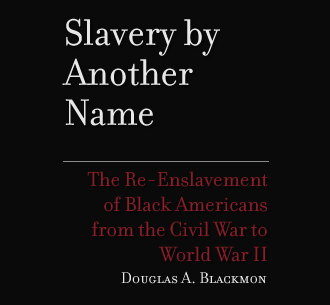 Former Wall Street Journal bureau chief and Pulitzer Prize winner Douglas Blackmon will visit the University of Alabama to speak about his award-winning book"Slavery by Another Name: The Re-Enslavement of Black Americans from the Civil War to World War II" on Feb. 23.